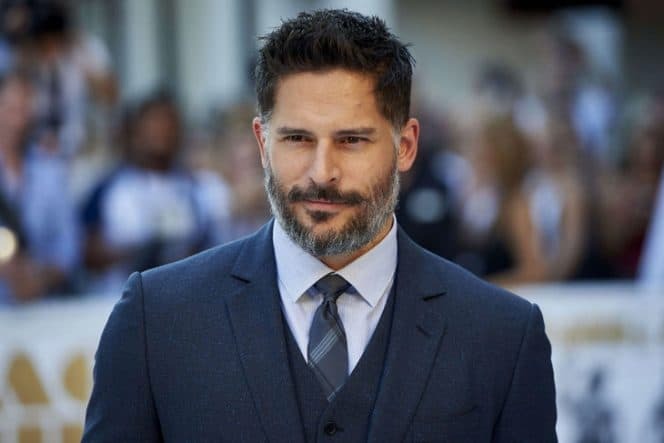 Joe Manganiello is the American movie actor, the producer who has begun his career with the starring role of Flash Thompson in the fantastic picture Spider-Man and continued it with the following characters in the high-rate series E.R. and True Blood. Joe regularly enters the lists of the most beautiful people in the world by the versions of different international editions. 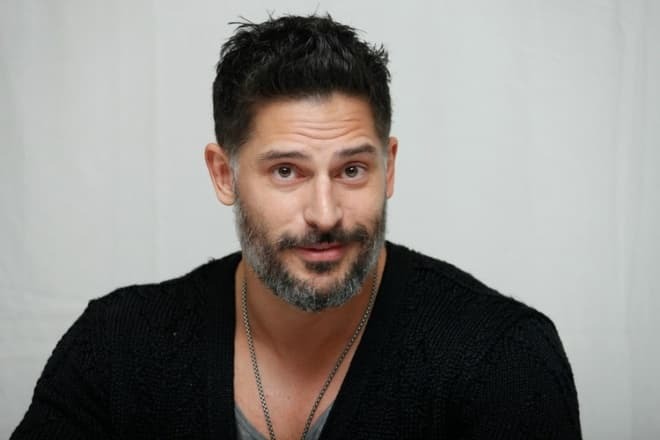 Joseph Michael Manganiello whom the fans usually call Joe Manganiello was born in December of 1976 in Pittsburgh but spent his childhood in the southern suburb of Mt. Lebanon. The boy inherited bright and unforgettable appearance. The reason for such expressive appearance is the multinational mixture of blood. Joe has inherited Sicilian, Austrian, German and Armenian roots from his parents. Except for Joseph, his younger brother Nicholas grew up in their family. The boys attended Catholic school of St. Bernard. Joe Manganiello was an excellent pupil. In 1995 he graduated from the high school with honors. Joseph began to have interest in the acting during his studies in the senior classes. The guy took part in the school musical Oklahoma!. The young man has enjoyed acting and being an artist so much that Joe has enrolled in the school television studio. Together with his peers, Manganiello shot the amateur movies with the camera which he had taken in the hire. The sport has become another Joe’s hobby. At school, and later at Pittsburgh university, Manganiello has been the captain of football, basketball and volleyball teams. But the acting remained the major thing for the young man. After he had entered the university, Joe didn't leave his tries to get to the stage. His first try turned out to be a failure. But the second one appeared to be successful, and the young man managed to enter the prestigious Carnegie Mellon School of Drama. In 2000 Manganiello received the Bachelor’s degree in Fine Arts. After having received the diploma, the beginning actor has set off for Los Angeles. Here, and later in New York Joe visited the auditions and tried for the roles in the series and movies. In 2002 the destiny smiled to him at last. Manganiello received the offer to perform the role of Flash Thompson in the screen version of the comics book Spider-Man. His soon debut was a good start for his future career of the actor. Joe’s character is a school hooligan, the enemy of the leading character Peter, the star of the school soccer team. With time the schoolmates have found a common language and began to be friends. The movie has earned $820 million in the hire and received some nominations for Academic Awards. The actors of the leading roles - Tobey Maguire, Willem Dafoe, Kirsten Dunst, James Franco have gained world recognition as well as Joe Manganiello. In a short time, Joe Manganiello has enriched his cinematic biography with the TVproject under the title E.R. where the handsome young actor appeared in one of the episodes. And again the star cast took part in this series, including Anthony Edwards, George Clooney, Sherry Stringfield, and Julianna Margulies. In 2008 there followed the role in the youth series One Tree Hill where Manganiello performed the secondary role of Owen Morello. The roles in the following movies have enriched the actor’s filmography - Scrubs, Two and a Half Men, Las Vegas, Medium, How I Met Your Mother and others. The career of the young actor has begun to take off promptly. During all these years Manganiello didn't leave the theatre stage. The actor was entrusted with the leading roles in the plays based on William Shakespeare’s, Henrik Ibsen’s and Tennessee Williams's classical works. The actor gained his true glory and recognition in 2010 when the audience saw Joe in the series True Blood. The American drama series came out on the screens in 2008 and at once became extremely popular and demanded. The topic of the supernatural beings, werewolves, and vampires who live in the neighborhood with ordinary American citizens were presented in a comedy way. Moreover, the elements of the detective narration have added intensity to this story. The series’ rates right after the display of the pilot series have considerably increased, and the performers of the leading roles at once have become the TV stars. Joe performed the role of the character of Alcide Herveaux, a werewolf and a close friend of the significant heroine Sookie (Anna Paquin) who had feelings for the girl. But Sookie was torn between the emotions to the vampires Bill (Stephen Moyer) and Eric Northman (Alexander Skarsgard). The comedian images were embodied on the screen by Ryan Kwanten and Nelsan Ellis. The Entertainment Weekly edition called Manganiello The best werewolf of all times after the release of the series. In 2011 the actor enriched his assets of awards with the Breakthrough of the year, two Scream Awards and a Saturn award. And also the handsome actor from Pennsylvania was included in the list of The most sexual men of present times according to the version of People magazine. The favorite Men's Health magazine recognized Manganiello, the owner of The best beach body. The Entertainment Weekly magazine also paid attention at the actor’s charm having recognized Joe The most sexual supernatural being. In 2012 there was released the melodramatic comedy Magic Mike telling about the life of male strippers featuring already successful Joe Manganiello. The experienced and skilled dancer Magic Mike (Channing Tatum) has worked in the nightclub for a long time. He takes the leadership of the young stripper Adam (Alex Pettyfer). Joe received the role of Richie. Three years later the authors of the movie released the second part of this picture under the title Magic Mike XXL. There was one more premiere of 2012 featuring Joe – it was a role in the comedy What to Expect When You're Expecting. This picture tells about five married couples which are going to become parents soon. Hollywood stars – Jennifer Lopez, Rodrigo Santoro, Wendi McLendon-Covey, Cameron Diaz, Mathew Morrison took part in this movie. Shortly there the actor began to take part in the shootings in the crime drama Sabotage where together with Joe Manganiello Arnold Schwarzenegger played their roles. Besides acting, Joe got fond of the producing. Under his direction there were released the following movies at different times - La Bare, Out of Courage 2: Out for Vengeance, Shoplifters of the World. The actor has had relations with the model Bridget Peters for nearly two years. The couple got acquainted in 2012 during the boxing match. Bridget appeared on the ring, and Joe was enchanted by her figure. In one of his interviews Manganiello has confessed that being a rather tall man he prefers women with "thrilling" curves. His attention can’t be caught by the exhausted skinny beauties. But the love affair with the model hasn’t led the actor to something serious. The personal life of Joe Manganiello has changed only after he met the Colombian actress, TV host and model Sofía Vergara. The young people met each other in 2014 and got married in November 2015. It was Sofía’s second marriage. She already has a son Manolo from her first marriage. The joint photos of the wife and husband are often published on the actor's page on Instagram. The actor doesn't aim at the participation in a significant number of the movies during a year. Joe is satisfied with one or two world-class remarkable projects. That’s why the actor chooses the scripts with particular attention. In 2017 Joe Manganiello took part in the superheroic fighter Justice League in which Ben Affleck, Jason Momoa, Amy Adams have also taken part. The picture turned out to be successful in the hire. It has earned $650 million in a hire. In April 2018 there was premiered the fantastic fighter Rampage in which Joe received one of the leading roles. The actor has transformed into Burke - the leader of the military movement who protects people from the monsters’ attacks. The accident happened at the intergalactic station, and all the mutants have reached the earth and infected wild animals. At present, the actor has signed the contract with the creators of the superheroic fighter Batman in which he will perform the role of the character Slade Wilson (Deathstroke). Ben Affleck will become the scriptwriter and producer of the project. It is supposed that he will perform the main role in this movie.